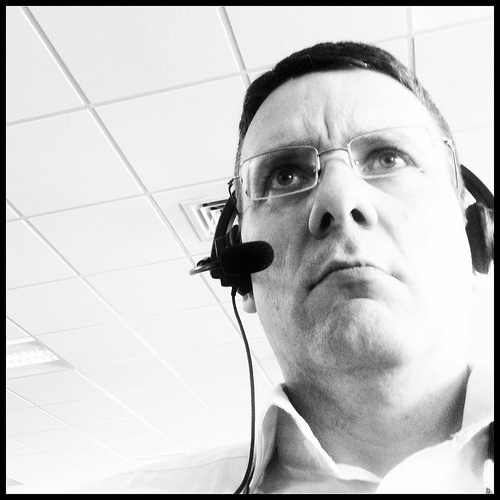 What can go wrong 5 minutes before you’re supposed to present a webinar? More than you’d ever want to know. A while ago, I was at a client’s office when I got a panicked cry for help from one of their staff. In 5 minutes, she was supposed to present a webinar from the quiet of her boss’s office. One of her colleagues was trying to help her set up the presentation on the webinar platform. But, one by one, things started going wrong. There was mysterious and annoying feedback. The slideshow presentation wasn’t loading. Luckily, this all occurred on a day when they had scheduled on-site IT support; what could have been an embarrassing disaster was fixed within 5 minutes – just in time for the webinar to go live. How’d I do it? I adjusted the computer settings so the microphone would work. The webcam was causing feedback. Since she wasn’t planning to use it, I disconnected it. She had to start the webinar without slides while her colleague and I worked the bugs out of her presentation. Until it was loaded, she had to refer to a hard copy while presenting the program. Not the best scenario, but better than not going live at all. I don’t think they’ll have these troubles ever again because they learned a few valuable lessons about technology and webinars. Schedule time in advance to test everything. And I do mean everything! What if you need IT help? Or help from the webinar platform company? Don’t wait until the last minute to ask. Upload your presentation ahead of time and do a run-through to make sure it works. Make a checklist and follow it. You don’t want to discover 5 minutes before the webinar that your computer settings have been changed, a cord has come unplugged, or your login isn’t working. Make sure the audio, video, and presentation will work as planned. 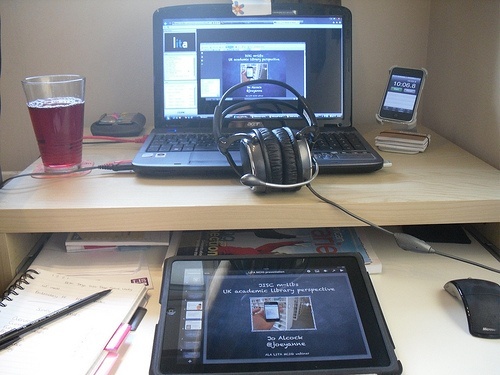 Review your webinar settings, like whether participants are muted. Even if you’ve prepared for the webinar ahead of time and tested everything on your end, there’s always the chance of technical issues on the other end – out there in cyberspace (where plenty of webinars have gone before, and many have been hit by asteroids). Have a hard copy of your presentation ready, just in case video or slidesharing aren’t working. You might even want to have an electronic copy ready to email to participants, if that’s a possibility. Keep the phone number for the webinar platform’s technical support team handy, as well as your account information. If you’re using your computer’s built-in audio, keep the presenter call-in number handy, in case something goes wrong and you have to present over the phone instead. Some platforms have a chat room where those involved in the webinar can have private back-channel conversations. Find out how to access it and play around in there so you’ll know how it works in case you have to discreetly reach out for help during the webinar. If things don’t go exactly as planned, take some deep breaths and keep smiling; otherwise you’ll sound flustered and make your audience uneasy. When things are going downhill fast, levity and confidence can be your rescue ring! Ultimately, the webinar isn’t about the technology, but the information you’re sharing – and that expertise was in you all along (with a gracious nod to Glinda the Good Witch from the “The Wizard of Oz”). If you test everything, follow your checklist, and have a Plan B, you’ll avoid the havoc wreaked by Murphy’s Law of Webinar Presentations. Good luck and good broadcasting! Editor’s note: If you’re looking to experiment with a presentation tool other than PowerPoint, review this list of 10 PowerPoint alternatives that make meetings fun (Brian Morris, 3/26/2013, Ragan.com) – just make sure to test, test, test before you implement something new!